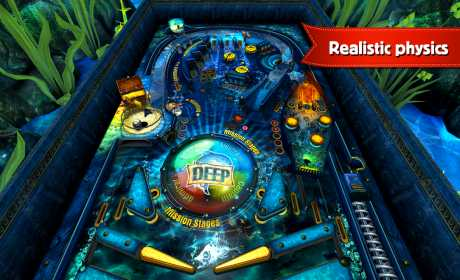 Pinball Fantasy HD is one of the best arcade 3D games for mobile and one of the most addicting games out there! Who doesn’t like pinball? Pinball rocks! Do you like retro pinball games with classic themes? Or do you prefer modern tables – Halloween or X-mas themed, for instance? Or maybe Tanks or even Pirates? Arcade or more challenging? 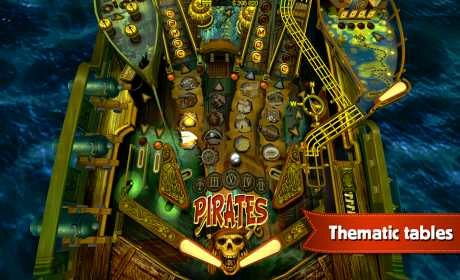 Pinball Fantasy HD 3D features a large set of variously themed tables which will be interesting for everyone – for both casual gamers and pro gamers, for kids and adults. Everyone will find a table to their liking. And everyone will find favorite heroes and favorite locations! * 9 pinball tables with unique graphics, instructions, missions system, locations and characters! Wild West, The Deep, Tanks, Pirates, Jungle Style, Da Vinci, Snow, Halloween, Arcade – each one is a masterpiece. * The game can be played in either landscape mode or portrait mode. * An awesome 3D engine and realistic physics. Lifelike flipper movements. * Local and global high scores. Become a star, get the first place in the world high score table! Summarizing, Pinball Fantasy HD 3D is superior to other pinball games online, and because it has 9 different tables, it’s like having 9 games in one, kind of. 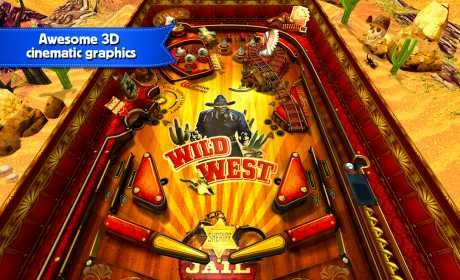 You will not find any better or cool games than Pinball HD 3D! What are you waiting for? Get in your Tanks, dive into the Deep, sail with the Pirates or go into Jungle! Download game now!